The 25ft. 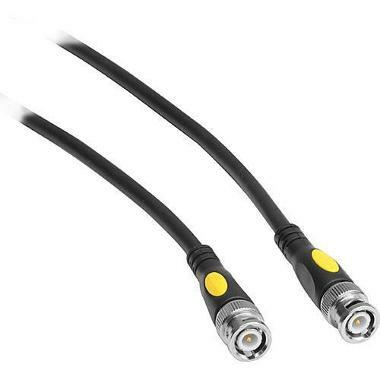 BNC to BNC Adapter Cable is a convenient cable for connecting a variety of video components. It features a SuperFlex outer jacket for easy coiling and is designed specifically for strain relief to ensure durability. This cable can be daisy-chained with other BNC cables but you will need a Female BNC to Female BNC Connector to go between them, which we do not provide.